Mom's Gone Bronson! : Piczzle.com Photo Puzzle Look-See! 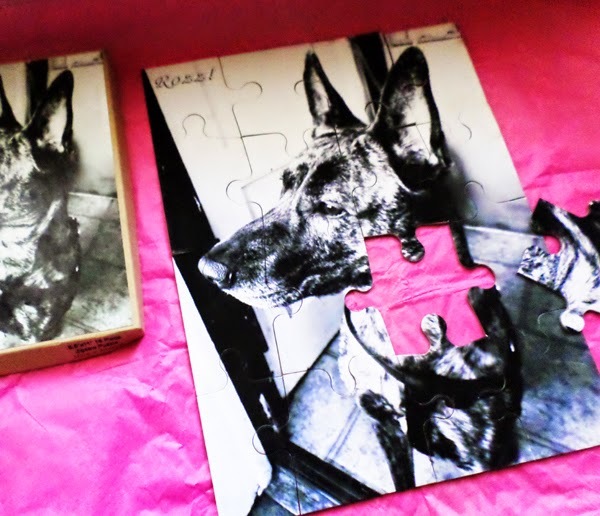 Here is a very simple, yet cute idea from Piczzle.com - your very own photos turned into great little jigsaw puzzles for the whole family to enjoy! These come in various sizes from small to large and with variants in puzzle piece amounts, too, to make it easier or harder to solve for the recipient! 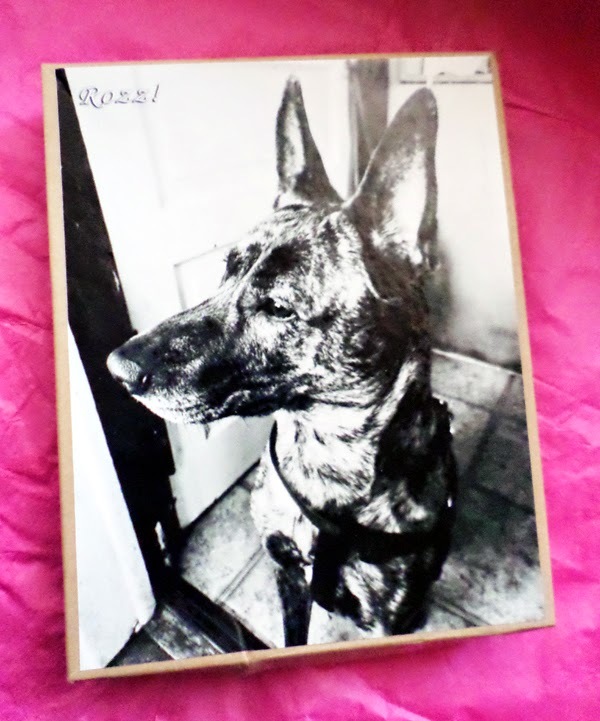 As you can see, I had one made, gratis, of my dog, Rozz! I was able to put some text to that effect on the photo, too and here she is in all her glory for my children to put together at their hearts content! Our particular puzzle has 16 large pieces and comes boxed in a simple little gift box with the image that you are looking to build on the front! My daughter, who is 3.5yrs old, helped me to find the puzzle pieces and was incredibly excited to see our beloved Rozz form as the photo puzzle was put together! I am over the moon with the way the puzzle turned out, the picture quality is nice, the presentation is good and I would definitely think about investing in another as a gift for friends or family in the future as a special keepsake. If you are interested in putting together one of your own for you or for a gift for someone else then why not head on over HERE and have a look at the options and pricing to suit your needs! These puzzles will last a long while when handled correctly and stored away or put together then framed. As ever, it is good to supervise younger children as they may have other ideas for how to treat your new Piczzle! Almondina Guest Review and Giveaway! Summer Essentials: Carmex Moisture Plus Lip Care! John Paul Pet Care Gift Pack Giveaway! Freeman Bare Foot Foot Scrub Saves My Day!